The bizarre, winding tale of the $400,000 GoFundMe campaign for a homeless man just got even messier. Speaking through her attorney, Kate McClure is now claiming that she was involved in an abusive relationship, and that falsified, feel-good story was concocted by her boyfriend and a homeless man for a viral GoFundMe campaign. On Monday, McClure’s attorney shared an audio tape that McClure allegedly recorded in secret in which she argues with her ex-boyfriend about the situation. James Gerrow is defending McClure after charges of theft by deception and conspiracy were filed by New Jersey prosecutors last Thursday. Gerrow appeared on ABC’s Good Morning America early on Monday to make the case that his client was a patsy in the alleged scam to convince GoFundMe users that a homeless man, Johnny Bobbitt, had spent his last $20 to buy McClure gas when she was stranded on the side of a New Jersey interstate. McClure and her boyfriend Mark D’Amico ran a wildly successful crowdfunding campaign using that story, saying they wanted to raise $10,000 to help Bobbitt get on his feet. 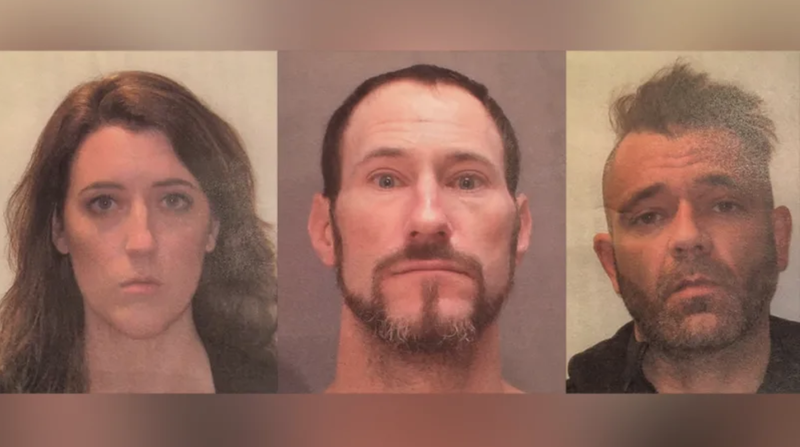 Prosecutors say the three worked together on an elaborate con that went south after McClure and D’Amico spent the bulk of the money and Bobbitt took them to civil court. Gerrow told GMA that McClure went along with the plan because she wanted to help Bobbitt get his life together and she was under the control of D’Amico who she claimed was abusive. As part of Gerrow’s argument, he shared a recording with GMA in which voices purported to be McClure and D’Amico bicker about spending the money intended for Bobbitt and trade blame. “But who made me lie on TV,” the woman asks. “Who cares,” the man responds. Gizmodo has reached out to Gerrow’s office for comment and to request a copy of the audio but did not receive and immediate reply. D’Amico’s attorney declined the opportunity to comment. Questioned by GMA about McClure’s personal spending of the funds, Gerrow admitted that she had knowingly purchased at least one of the handbags that prosecutors claim was part of the couple’s shopping spree. He said that the bag cost around $800, while another bag was apparently purchased by D’Amico for $1,000. Prosecutors outlined the couple’s spending on a BMW, shopping trips, and vacations. They also claim to have records of text messages McClure sent to a friend admitting that the story was “completely made up.” Prosecutors went on to say that “zero dollars” are left from the campaign and the three would likely have gotten away with the plan if Bobbitt had not taken his claims of being ripped off to civil court. If convicted, the charges against the three carry sentences between five and 10 years. Bobbitt’s attorney did not respond to a request for comment. GoFundMe said on Thursday that all contributors will be refunded for their donations.